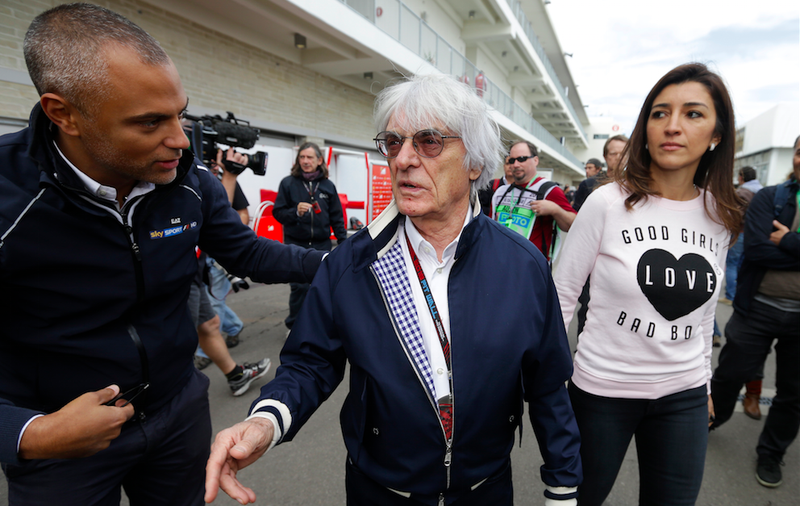 Formula One impresario Bernie Ecclestone’s mother-in-law was abducted in Sao Paulo on Friday night, and is being held for the biggest ransom in Brazil’s history, $37 million, Brazilian website Veja reports. Here’s everything we know about the kidnapping. Who Is The Kidnapping Victim? That would be Aparecida Schunck, the mother of Eccelstone’s third wife Fabiana Flosi. Ecclestone, the iron-fisted billionaire chief executive officer of the Formula One group, met Flosi in 2009 at the Brazilian Grand Prix. According to the Daily Mail, she worked there as the vice president of marketing. The tabloid says at the time she met Ecclestone, Fabiana was dating and living with a pediatric doctor and Ecclestone was married to Croatian model Slavica Radic. After an approximately $1 billion divorce settlement, according to The Telegraph, Ecclestone and Slavica separated after nearly 25 years of marriage, and in 2012, he married Fabiana after she broke up with her boyfriend and moved to London. Today, Ecclestone, 85, and Fabiana, 38, still live in London, though some of Fabiana’s family remains in Brazil. Her mother, Schunck, is 67 and lives in Sao Paulo. On Friday, she was reportedly abducted, and is being held for ransom. The captors have demanded 120 million Reais, the equivalent of just under $37 million, from Ecclestone, who is worth $3.1 billion. This ransom, Veja claims, is the biggest in Brazil’s history. The site says the ransom is to be paid in British Pounds and should delivered in four separate bags of cash. The individual or group behind the kidnapping is currently unknown, or at least has not been made public. The Rio 2016 Olympics, set to get underway next month, is going to be a shitshow. (Literally.) Between corrupt security guards, pollution, disease, poor infrastructure and crime, Brazil—currently in the throes of a major economic crisis and tremendous wealth inequality— is expected to be the site of some serious pandemonium very soon. While Aparecida’s kidnapping took place in the Interlagos neighborhood in Sao Paulo and not Rio de Janeiro, the two cities are only about a six hour drive from one another, so this high-profile abduction will only incite more fear among spectators and participants preparing to head to the 2016 Olympic games. And kidnapping is big business in Brazil, even though it’s declined somewhat in recent years. Veja says kidnapping reached a peak there between 2001 and 2002, with 321 cases in the state of Sao Paulo alone—equating to one every 27 hours. The site says an anti-kidnapping initiative has decreased the kidnapping rate significantly, but an analysis by Vocativ puts the number of kidnappings in Brazil at 6,000 a year or more. And victims are often mutilated in the process. This isn’t the first time someone has tried blackmailing Bernie to get a taste of his wealth. The BBC reports that in 2012, a British man named Martin Peckham posed as a “security expert” and pestered Bernie over the phone, telling him his daughter Tamara Ecclestone was at risk to be kidnapped by people from the Middle East. Peckham told Bernie that, in exchange for 200,000 Pounds, he’d use his expert security skills to foil the plot and keep Tamara safe. It all ended up being a lie, and in the end, police traced Peckham’s calls, arrested him for blackmail, and put him in jail for five years after he admitted to trying to dupe Bernie in order to pay for his wedding. Everything we’ve heard comes from Brazilian news agencies, as the city police have yet to comment on the situation. We’ll update the story as we hear more.